Today is International Women’s Day, an observance that celebrates the importance of women and their place in the world. However, women still continue to fight for equality. While the struggle may be real, you can find inspiration from strong women everywhere, including in pop culture. So it seems like the perfect time for Netflix to release an Iron Fist featurette centering on the female lead Colleen Wing (Jessica Henwick). Check out the featurette here below. The cast for superhero shows have grown exponentially in the past week or so, with Fox’s untitled X-Men series adding Gotham‘s Jamie Chung as Blink, while Marvel’s Inhumans has cast Game of Thrones‘ Iwan Rheon as Maximus and Hell on Wheels‘ Anson Mount and Graceland‘s Serinda Swan as Black Bolt and Medusa. Now you can add one more to the Inhumans cast. 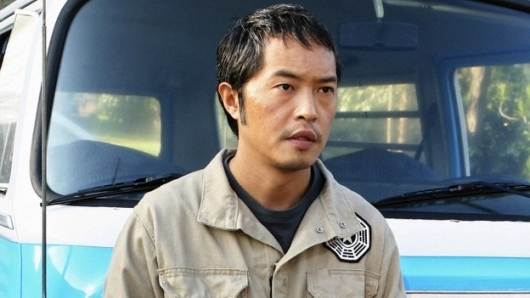 According to new reports, Lost alum and Star Wars: The Force Awakens actor Ken Leung will be joining Rheon, Mount, and Swan. More on the story below. Two more leads have been cast for Marvel’s Inhumans, the upcoming live-action TV series. Hell on Wheels star Anson Mount has been cast in the role of Black Bolt, the king of the Inhumans, while Graceland star Serinda Swan has been cast in the role of the Queen of the Inhumans, Medusa. The pair join Game of Thrones star Iwan Rheon, who was announced for the role of Black Bolt’s brother, Maximus, last week. Marvel and ABC have found one of the leads for their Inhumans TV series in one mean Game of Thrones villain. 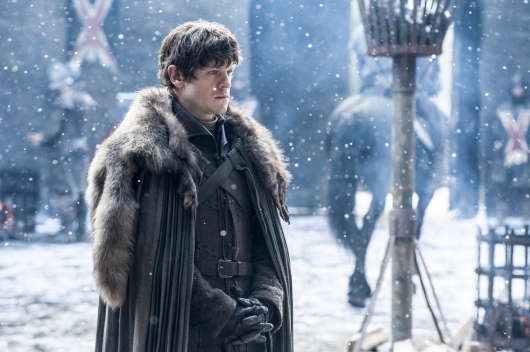 It’s been announced that Iwan Rheon, best known for his work playing the evil Ramsay Bolton on the hit HBO fantasy drama, has been chosen to take on the role of Maximus in Marvel’s Inhumans. You can find more on the story below, including info on the character and statements on the news, below. Before the Marvel heroes of New York City can assemble to become The Defenders, they have to introduce the title character of Iron Fist. 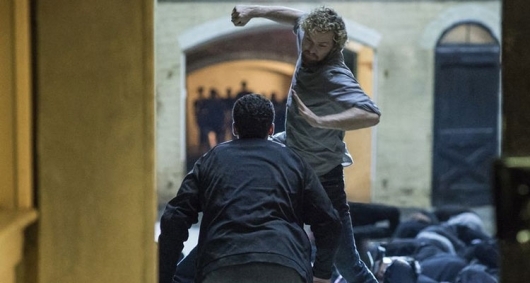 Netflix has just released the newest trailer for the upcoming series, which centers on Danny Rand’s (Finn Jones) return to reclaim what is rightfully his. As with all trailers, there is a bunch of new footage that lays out the simple premise of the series. Check it all out below. Netflix has announced the official release date for Iron Fist, the fourth of their Marvel series. The show follows the previously released Daredevil, which is already through two seasons, Jessica Jones, and the latest, the recently released Luke Cage. Also coming at some point is The Punisher after the fan-favorite character’s appearance in season two of Daredevil, and The Defenders miniseries bringing the various characters together. You can watch the video revealing when your next Marvel TV binge is happening below. 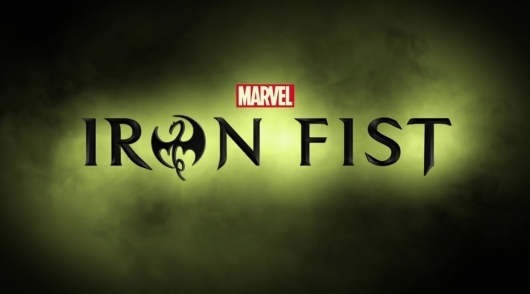 Last year, Marvel and Netflix announced former Dexter alum Scott Buck would be the Iron Fist showrunner. 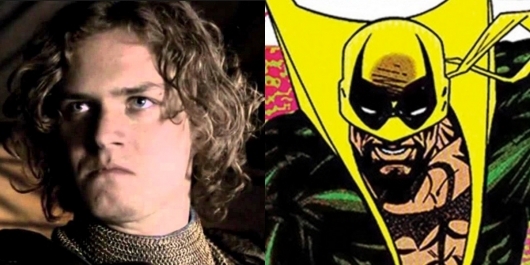 A few months later Finn Jones was confirmed to play the title role. Jones would be the final hero of the four that was announced way back in 2013. Now with Daredevil in its second season, Jessica Jones confirmed for its second, Luke Cage getting ready for its first this coming September, Buck will be quite busy working on Iron Fist for an undetermined amount of time and getting ready for a yet-to-be-announced release date. So far, Netflix and Marvel are two for two in terms of the success of their shows centering on the heroes of Hell’s Kitchen. Daredevil is already in the midst of production on its second season, while the recently launched Jessica Jones has been met with critical acclaim – though the expected start date for season two is very unclear. Now, with Luke Cage in production for its first season, Marvel and Netflix have just confirmed the showrunner for the mysterious Iron Fist series. 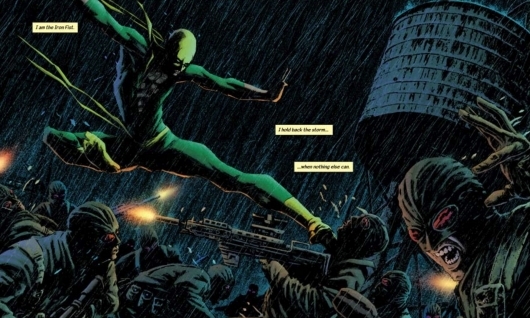 With rumors that the TV series wasn’t working, and that the two studios may opt to turn Iron Fist into a film, something needed to be done in order to ease some of those fears before even more wild rumors started to spread. And it seems that is happening, as there is a new report that says that Dexter and Six Feet Under alum Scott Buck has been hired to to serve as showrunner on Iron Fist. More on the story below. Dexter fans are nothing if not dedicated, sticking with the show through thick…and thin (season 6, anyone?). We’ve been through a LOT. On the crest of its last season on air, Showtime’s Dexter made its final San Diego Comic-Con appearance Thursday evening in Hall H.
The panelists included series star/executive producer Michael C. Hall, and past and present co-stars Jennifer Carpenter, David Zayas, Aimee Garcia, Desmond Harrington, Yvonne Strahovski, Lauren Velez, Eric King, and Julie Benz. Also appearing were executive producers John Goldwyn, Sara Colleton, Scott Buck, Clyde Phillips and Manny Coto. Ralph Garman moderated. He mentioned that the complete series will be available on Blu-Ray November 5th, in a box that resembles Dexter Morgan’s blood slide collection case. 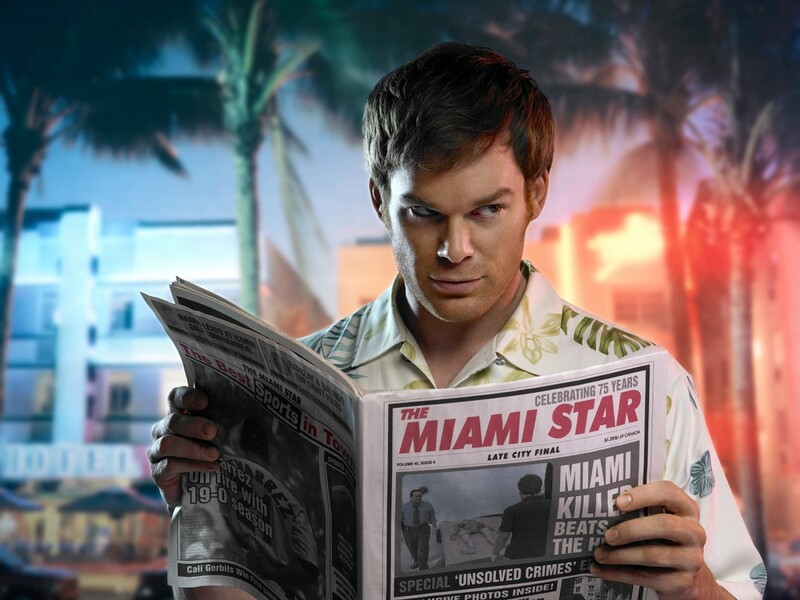 This announcement was followed by a retrospective look at Dexter Morgan’s most famous kills.